Football Kenya Federation, in partnership with the Kenya Association of International Schools Sports Organization, has on Tuesday July 10, 2018, rolled out a 10-day coaching course aimed at equipping teachers and coaches from the International Schools with Coaching skills. The course, under the tutelage of FKF Instructors Jacob Mulee and Mathew Sam, will see 40 coaches gain skills in Basic/Advanced coaching. “We are aiming at training the trainers so that our young players are handled by qualified personnel. More coaches being trained translates to better quality of players produced, which is a positive step in the growth of Kenyan football,” said Mulee. Hillcrest Preparatory School coach Jackeline Wangechi lauded FKF for the initiative, noting that it will realize positive results in the near future. “I wish to laud FKF’s efforts in coaches training. It is important for us teachers to be equipped with coaching skills so that we can impart the same to our young players,” said Wangechi. The partnership follows in the steps of centers of excellence, where FKF is aiming at imparting both football skills and academic credentials to young talented players. FKF NEC Member for Nairobi, Chris Amimo reiterated the Federation’s commitment to youth development while noting that the partnership is a step towards integrating private schools into mainstream football. 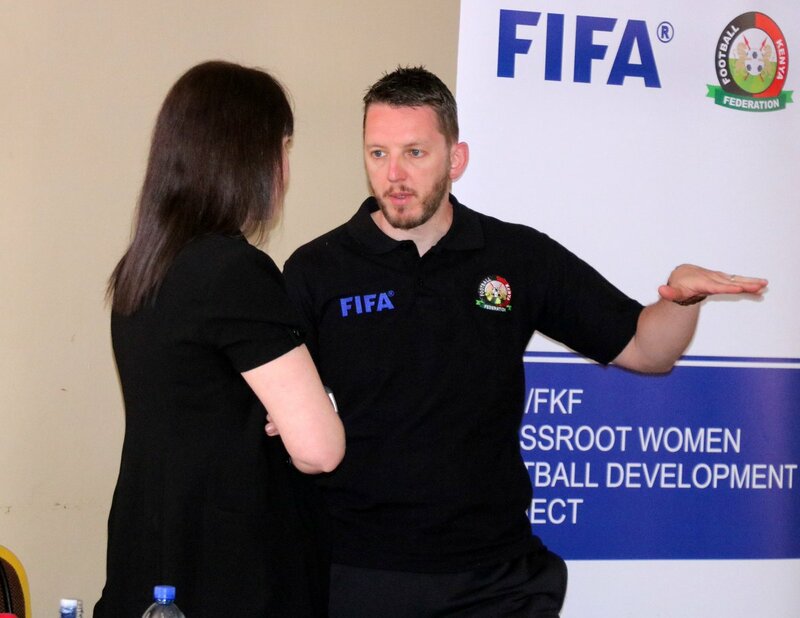 “We are committed to positively changing the game by ensuring that we provide quality education for our coaches,” said Amimo, who also heads the FKF Youth Committee. “It is our belief that the course will not only help build capacity of the coaches but will also go a long way in including private schools, which had long been neglected, into Kenyan football,” he added.